As Texas reels in the aftermath of Hurricane Harvey, experts at the Earth Institute are doing their best to help make sense of how this storm became so destructive, and what’s needed for recovery. Writing for CNN, atmospheric scientist Adam Sobel describes the various factors that made Harvey so devastating. In a separate article, Mashable quotes Sobel on how Houston’s location in a floodplain—as well as ongoing infrastructure development in that area—worsened Harvey’s impacts. Suzana Camargo, an ocean physicist at Lamont-Doherty Earth Observatory, tells State of the Planet about how Harvey strengthened from a tropical storm to a major hurricane so quickly. 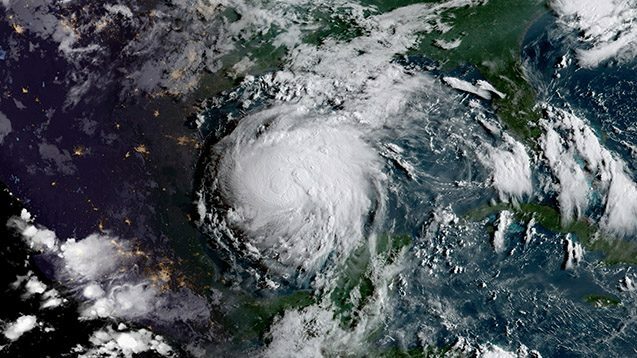 In a commentary for Fortune, Camargo and Sobel explain why we can’t say that climate change “caused” Hurricane Harvey, but how rising temperatures probably made the storm worse. Will Hurricane Harvey be as bad as Katrina? John Mutter, who studies natural disasters at Lamont-Doherty, weighs in on The Atlantic. With 30,000 Texans displaced by the storm, Jeff Schlegelmilch, deputy director of Columbia’s National Center for Disaster Preparedness, offered his advice to Marketplace on how to shelter all those people. Schlegelmilch applauds President Trump’s rapid response to the disaster, but cautions that supporting Texas’ long-term recovery will be an even greater challenge. After the floodwaters subside, it could take 15 years to recover from Hurricane Harvey, warns Irwin Redlener, director of the National Center for Disaster Preparedness. “Support to recovery efforts is critical,” he says. President Trump’s new orders could force Texas to rebuild its infrastructure in the same manner and in the same flood-prone places, the Associated Press reports. Michael Gerrard, director of the Sabin Center for Climate Change Law, criticizes this decision. “Rebuilding while ignoring future flood events is like treating someone for lung cancer and then giving him a carton of cigarettes on the way out the door,” he says. In an article about flood insurance, Gerrard tells the Washington Post that flooding is only going to get worse in the future because of climate change. Suzana Camargo asserts that the U.S. should be investing more in weather modeling, which would improve our ability to forecast dangerous storms. 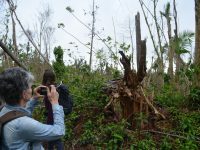 Earth Institute Executive Director Steve Cohen expounds on what we can learn from storms like Harvey and Hurricane Sandy. He suggests setting aside more resources to respond to disasters and rebuild once they’re over. Editor’s Note: This post was updated with new information on 8/31/2017. 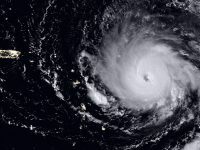 Note for journalists: Earth Institute experts are available to answer questions about hurricane physics, rapid intensification, flooding, emergency response, and more.